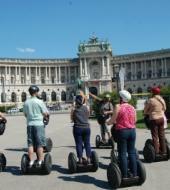 See Vienna by bike and have the intimacy of a walking tour with all the speed of a bus tour! 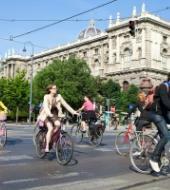 With Ticketbar's bike tours you can ensure that you will see everything there is to see in Vienna but without missing out on the unique details which make Vienna so beautiful. If you fancy something completely different then why not jump on a Segway and have an adventure on one of these modern inventions. Alternatively see the city come alive at night with our Night Bike Tour. Whatever your preferences Ticketbar will have something to keep you entertained and show you the spectacular sights of Vienna at the same time!